This week my Friday Favourite is another foodie one, the iconic Rudy’s pizza. To celebrate #NationalPizzaDay yesterday (and also because it’s delicious and mere steps from the office), Amanda and I decided to treat ourselves to a lovely lunch at Rudy’s. 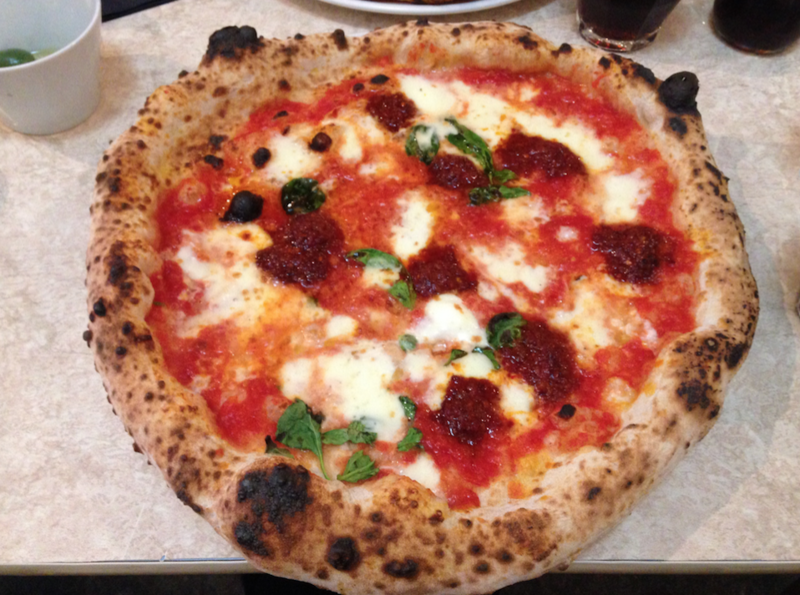 The restaurant describes itself as ‘authentic Neapolitan pizza’, and whilst I’ve (sadly) never been to Naples, I can definitely say the pizza does not disappoint. I consider myself quite the pizza connoisseur and would day that Rudy’s is up there amongst the best, with a tasty crust, the perfect amount of toppings and just overall deliciousness. If you haven’t tried this little Ancoats gem, I suggest you get to it ASAP, just be prepared that not many pizzas will live up to your Rudy’s experience. As I commute to work every day, my time in Manchester is very rushed and I end up missing a lot of the city’s great food and drink places. So last week I sought to rectify that and met my sister after work for food and drinks. After asking Melissa where’s best to try (she knows all the good places!) 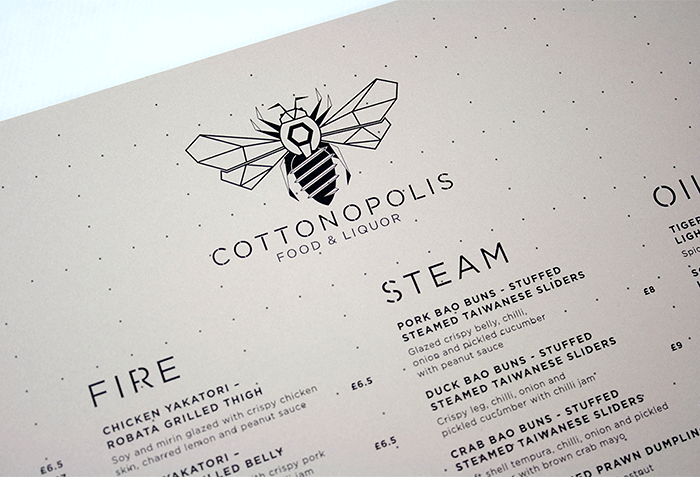 I sent my sister a few options and we both really liked the look of the Northern Quarter’s Cottonopolis! Serving pan Asian food in a warm and trendy setting, Cottonopolis is cosy and inviting, and the food really complements the setting. The menu is divided into ice, fire, steam and oil – which is basically how each different dish is cooked. We opted for the tiger prawn tempura (the avocado dip that came with it was really tasty) and the pork bao buns, which came with a peanut sauce that was equally as delicious. We also had lamb nasu, avocado and red pepper nigiri, katsu chicken and rice, and everything was really good! It was really nice to pick at the food on offer and I really enjoyed the whole dining/ bar experience too, I’d definitely recommend checking this one out. We were surprised with a delivery from new salad bar Street Garden this week and to say I was impressed would be an understatement. Amanda and I shared two juices as we couldn’t decide which we each wanted – a Viva Verde (spinach, cucumber, lettuce, celery, green apple, lemon and ginger) and a Panacea Potion (pomegranate, watermelon, chia seed and mint) – and both were delicious. 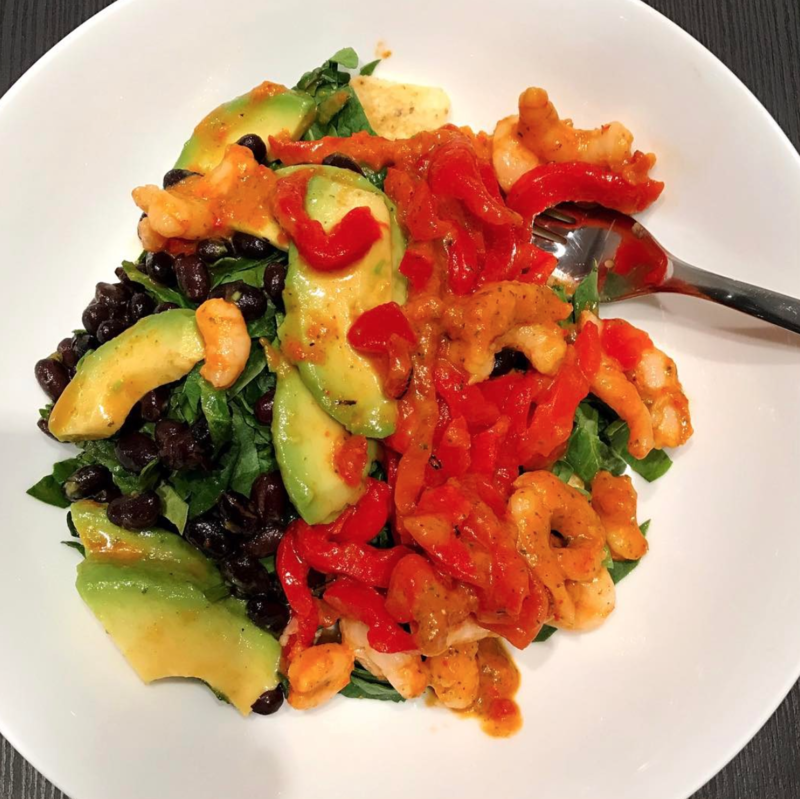 For food, I had the Espanaza Diablo signature salad; filled with prawns, black beans, roasted red peppers, avocado, spinach and tortilla chips, and topped with del diablo dressing, it was a veritable Mexican party! The dressing made it a little spicy for me, so I topped it with some natural yoghurt but that didn’t dull the taste at all – it was a great mix of healthy and tasty, which seemed to be the verdict all round. The menu has a great range of salads, soups, breakfasts, juices and smoothies and is all reasonably priced (hello £4.50 for a salad), so I’ll definitely be back! You can find Street Garden on Princess Street, in Manchester city centre. This week my Friday favourite is skincare brand Aesop. Whilst browsing in town earlier this week, I popped in to the Selfridges beauty department, on the hunt for a new skin cleanser and toner. 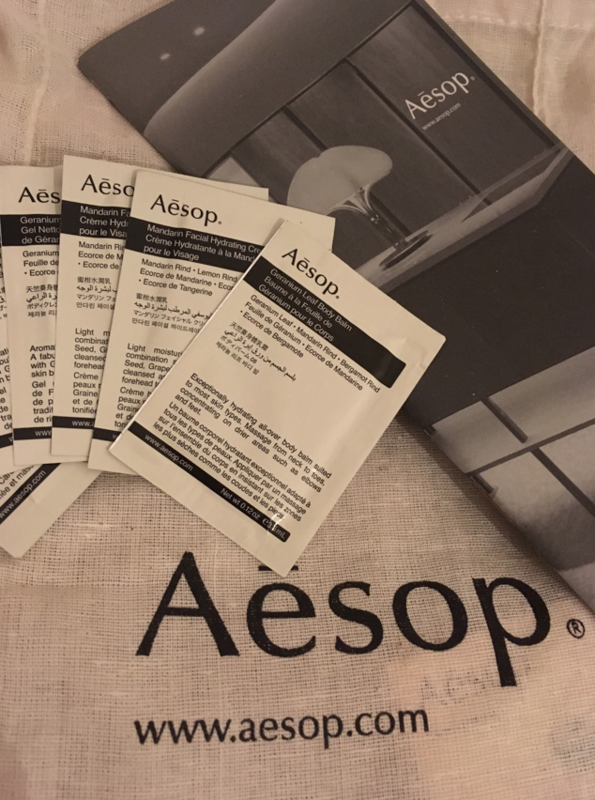 I’d done a lot of reading about Aesop as a part of my university studies and once I’d seen them in person, I was sold – the products smell great and the packaging will look good in my bathroom! I got a few samples to test and so far, so good – I might even have to return and invest in the full size products – even if it means not eating out for a month! It’ll be so worth it.